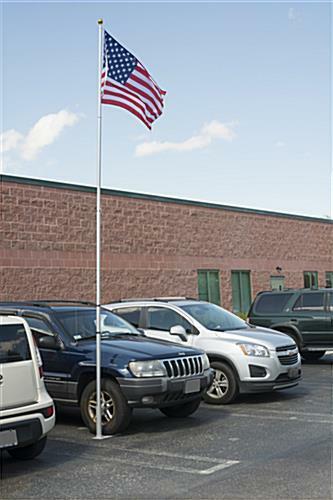 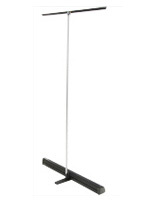 This flag set with 20-foot portable pole is designed to attract customer and visitor attention at outdoor corporate, promotional events, or trade shows. 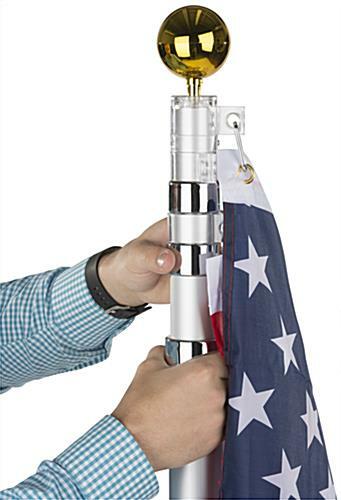 Each kit comes complete with a silver aluminum telescoping post, two different mounts, dual display hangers and a patriotic Stars and Stripes 3’ x 5’ banner. 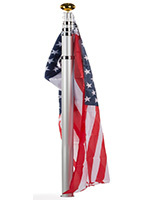 This eye-catching outdoor promotional banner set with 20-foot portable pole includes a gold finish ball truck finial topper for a polished look. 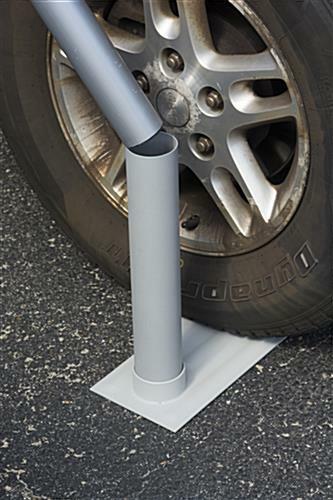 The telescoping pole can be mounted using either the sturdy iron car foot or the PVC ground post, both of which offer high stability for public environments. 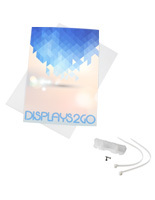 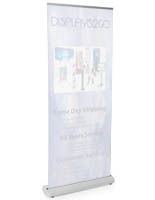 This height-adjustable banner display set with 20-foot portable pole is a great choice for display at corporate, retail, promotional, and even private events. 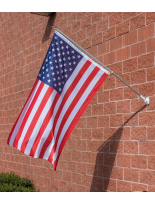 Each kit offers dual display of the included American flag as well as an additional banner if desired (custom banners sold separately).